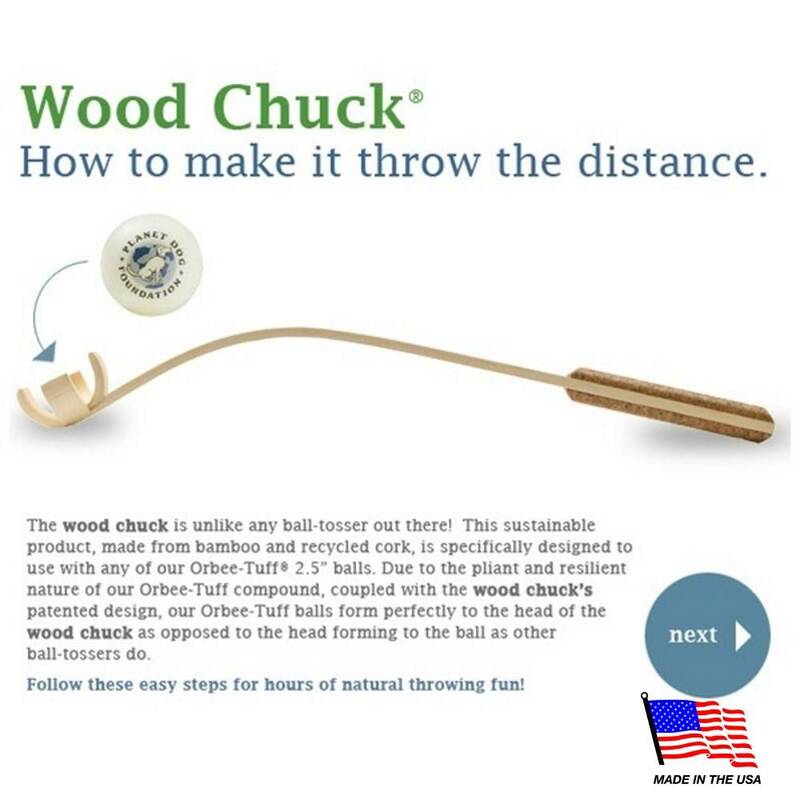 A sleek take on other ball-tossing devices, the Wood Chuck is engineered with sustainable bamboo and reused cork scraps and includes an Orbee-Tuff RecycleBALL so you can throw the distance naturally. Engineered with sustainable bamboo and reused cork scraps. 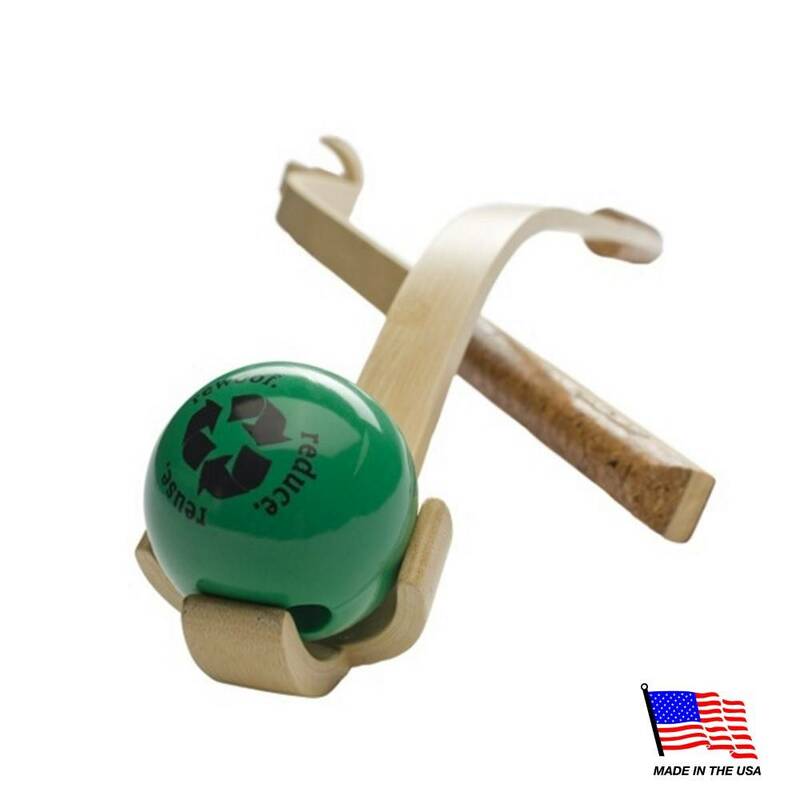 A sleek take on other ball-tossing devices, the Wood Chuck bamboo core offers strength and maximum chuck-ability with an ergonomic cork handle for comfort and grip-ability for throw, after throw, after throw. 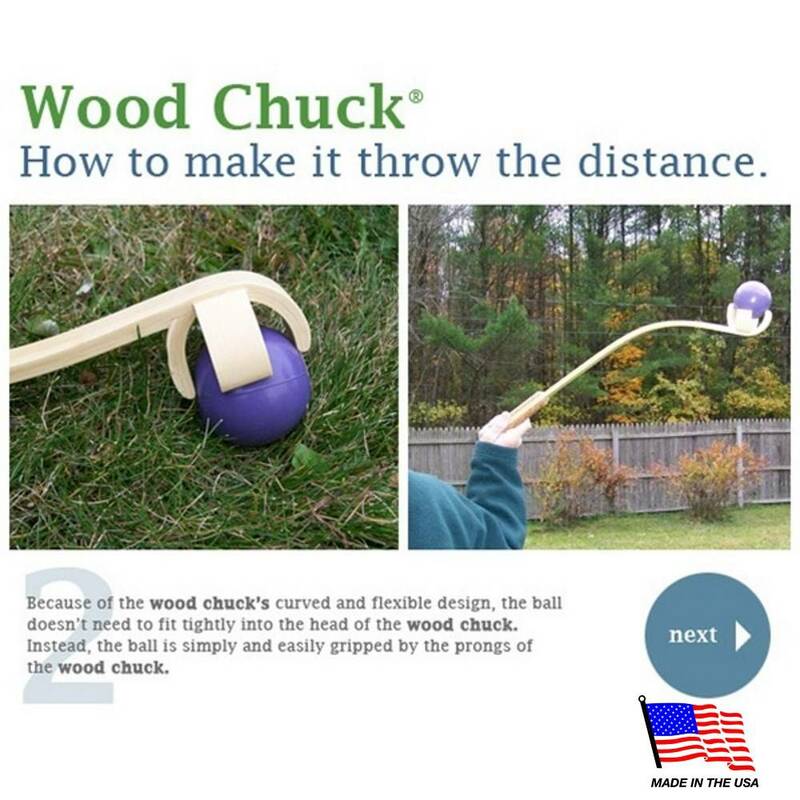 Wood Chuck’s 4-pronged claw coupled with the pliant nature of Orbee-Tuff products make it a cinch to grab and throw. 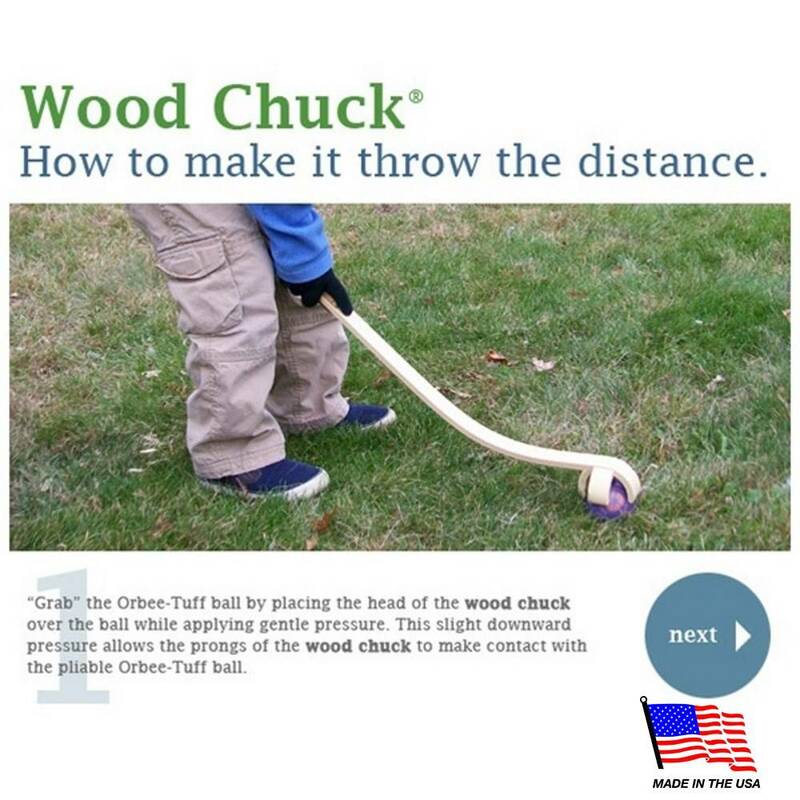 Plus, all 2.5" Orbee-Tuff toys can be used with the Wood Chuck! How does it work? 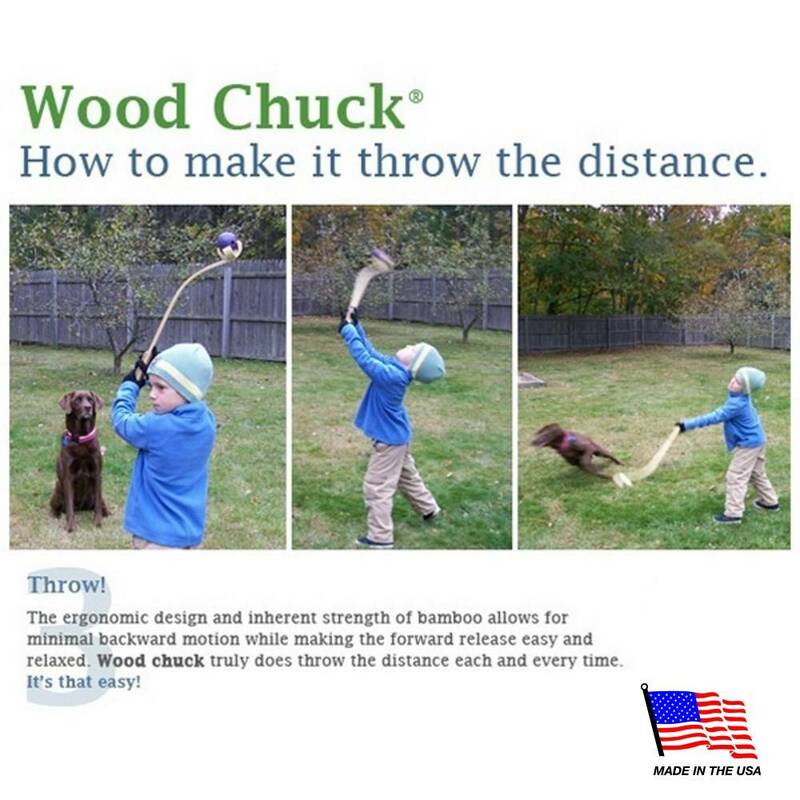 Click the ALTERNATE VIEWS to throw the distance. 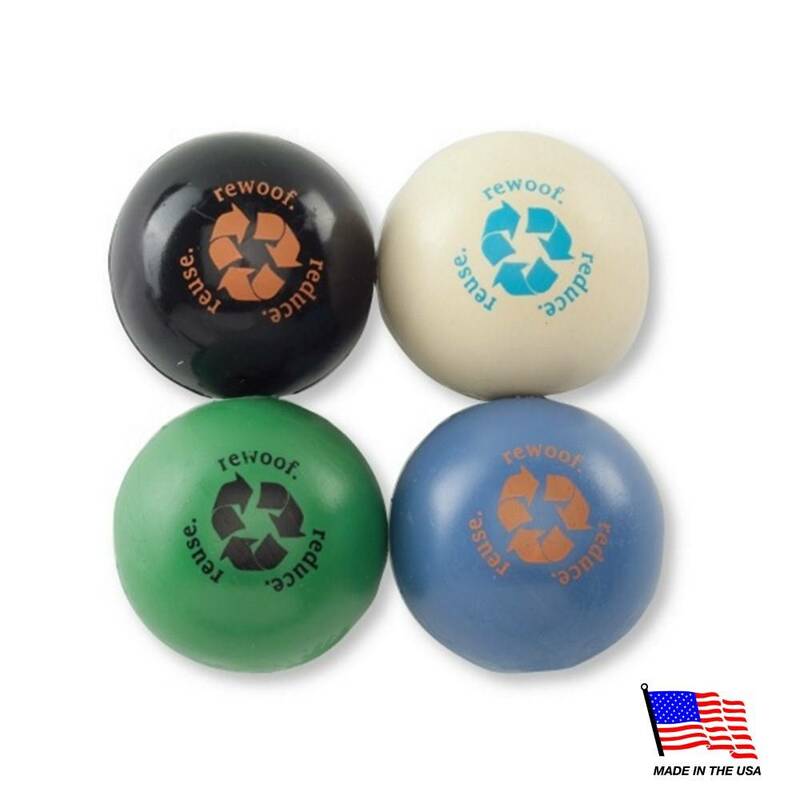 An Orbee-Tuff RecycleBall is included, which is made from "regrind" (1st quality Orbee-Tuff material that would otherwise be discarded) that is just as doggie-durable as the first. Planet Dog literally makes these balls based on what color scraps they have available, therefore, it is impossible to tell what colors we will receive in stock. The colors you will see most frequently are Purple, Black, Cream, and Green. We're sure your dog will love whatever color we send you! 2% of your purchase funds canine service programs. See your 2% in action at the Planet Dog Foundation.